Designed for the individual who collects experiences and not things, who values life’s simple pleasures alongside its pains. 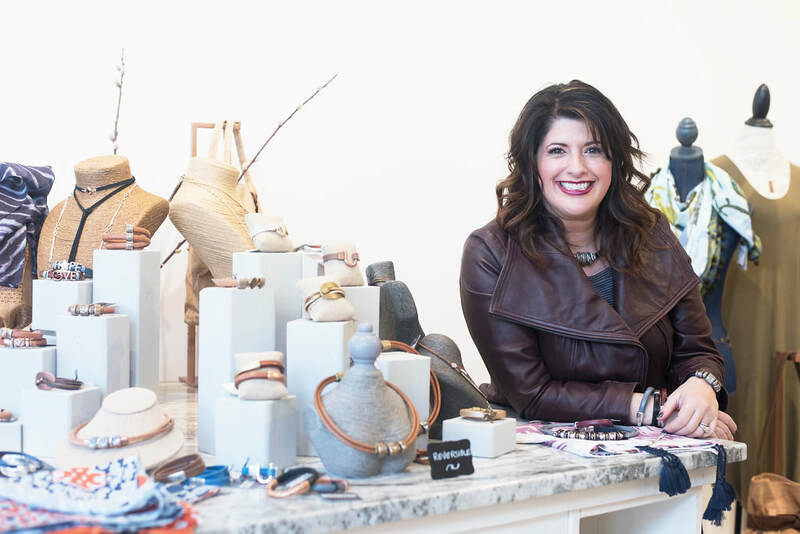 Founder and designer Diana Kauffman believes that “we are all handcrafted, strong and timeless.” Therefore, Diana Kauffman Designs is handcrafted in the U.S.A. by handcrafted people, offering jewelry pieces for both men and women. Focusing on statement pieces for everyday wear, Diana Kauffman began by starting a men’s collection. Diana says, “I had this idea that men were underserved. At least men like my husband. He’s an everyday professional, sometimes in a suit and tie, other times office casual. So he is not going to wear hemp necklaces or flashy label jewelry. I wanted to make something he would wear and like. I knew if I could succeed in that challenge, other men like him would be attracted to the line. So in addition to the woman’s collection I launched the Manlet®.” Diana’s collection for both men and women embraces on trend color and achieves timeless design through quality materials and craftsmanship. The bold lines and spirited color that characterize Diana Kauffman Designs are tempered through the use of natural materials that beauty with age, such as Italian leather and Portuguese cork. Strong yet lightweight, her bracelets and necklaces are available in multiple sizes to fit the wearer. Additionally, DKD jewelry is easy to put on and take off; making them versatile for on the go wear, everywhere. Diana personally procures her materials from all over the world, selecting only the highest in quality for her designs. Founded in 2013, Diana Kauffman Designs can be found here and in over 250 exclusive boutiques and galleries across the United States.